One vintage-style 18 karat yellow gold with sterling top pendant with a bow motif. 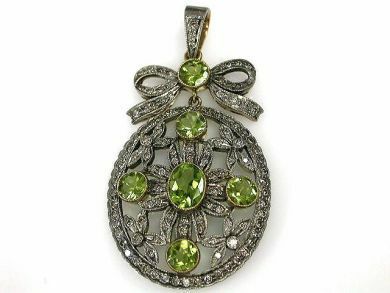 Six peridot (3.40 carats). 119 round brilliant cut diamonds (1.46 carats: VS-SI clarity: J-K colour).